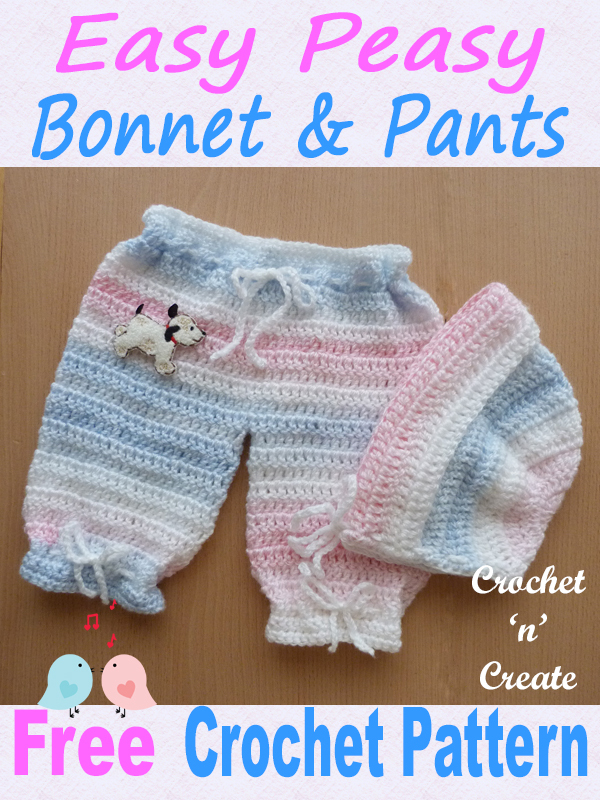 Easy Peasy Bonnet-Pants – Two more cute items to add to my easy peasy baby cardigan and overalls collection. 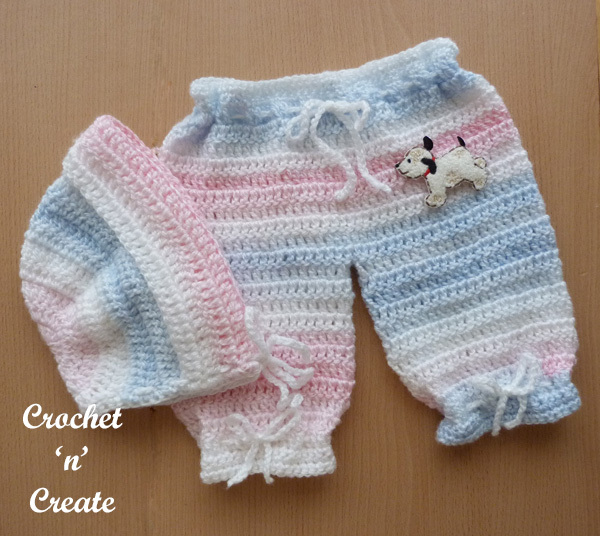 Ideal for the beginner crocheter or advanced, this little set would make a lovely gift for a baby shower etc. 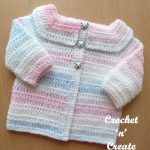 This entry was posted in Baby crochet pattern, crochet baby bonnet, crochet baby outfits, crochet baby patterns and tagged baby crochet patterns, crochet, crochet baby bonnet, crochet baby outfit on 2nd February 2019 by crochetncreate. 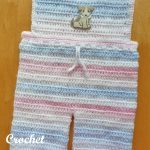 Easy Peasy Bonnet-Pants UK – This sweet two piece set is Ideal for the beginner crocheter or advanced, add it to my easy peasy baby cardigan and overalls collection and this little set will make a lovely gift for a baby shower etc. 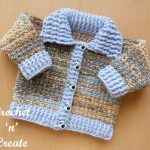 See more free baby crochet patterns. Pants: Finished leg length from waist 10 Inches approx. 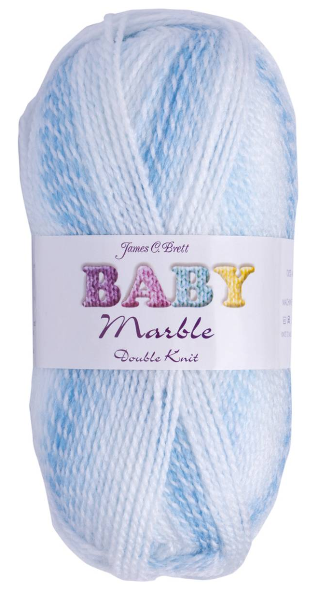 Bonnet – Make magic circle, work 3ch, (RS) 15tr into ring, pull loose loop to close circle, ss to top of 3ch on beginning of row. Turn. 6th Round – 3ch, 1tr in each tr to end, 1tr into top of 3ch. Turn. Rpt 6th Round seven more times, making 13tr rows in all from the beginning. Turn. 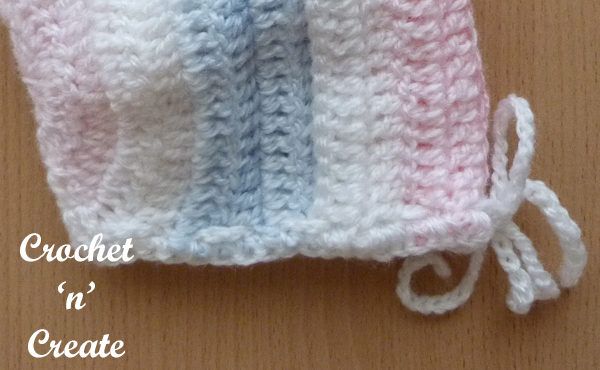 Brim – Working through back loop of stitch only, work 3ch, 1tr into each tr to end, 1tr into top of 3ch. Turn. Working through both loops from now on, rpt 6th Round until 4 rows have been worked in all for brim. Chain Tie – Make 120ch. Fasten off. Fold brim onto the front of the bonnet, starting from front edge and catching in brim as you go, work one row of dc along neck edge. Finishing – Weave in and trim off loose ends of yarn, thread chain tie evenly along through stitches on neck edge and tie in a bow. Second Row – 3ch, 1tr into each tr to end, ss to top of 3ch on the beginning of row. Turn. Divide for legs – 3ch, 1tr into next 44tr, ss to the top of 3ch on the beginning of row, turn leaving 45tr un-worked. Continue on these 44tr and 3tch, slip stitching at the end of each row, until 11 rows have been worked from division. 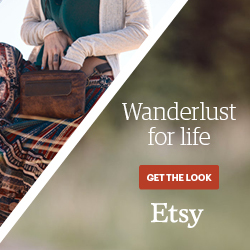 (add extra rows if you wish) Turn. 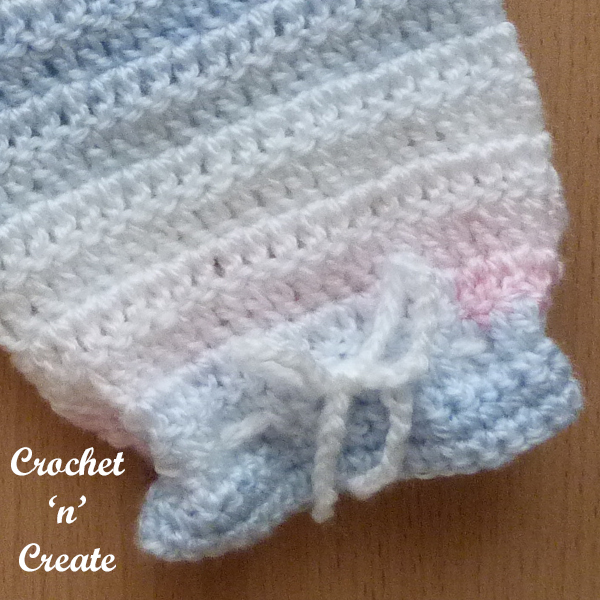 Leg Cuff – Make 1ch, 1dc into base of 1ch, 1dc into each tr to end, ss to first dc on beginning of row. Turn. Next Row – Work 1ch, 1dc into base of 1ch, 1dc into each dc to end, ss to first dc on beginning of row. Turn. Second Leg – Return to remaining 45tr at division, join yarn to next tr and continue in the same way as first leg. With WS of work facing and starting with 1ch work 90dc evenly along cast on edge at waist, ss to first dc on beginning of row. Turn. Chain Tie – Make 130ch. Fasten off. Finishing – Close small gap on crotch, weave in loose ends of yarn and trim. Turn through to RS. Thread chain tie through alternate tr’s at waist and ankles and tie in bows. 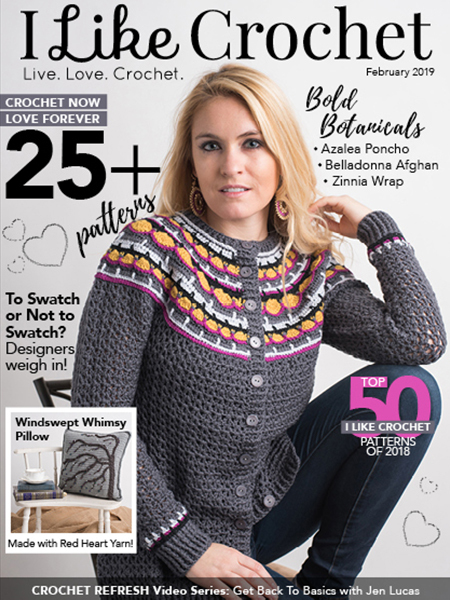 crochet ‘n’ create © 2019.
link back to crochet ‘n’ create. 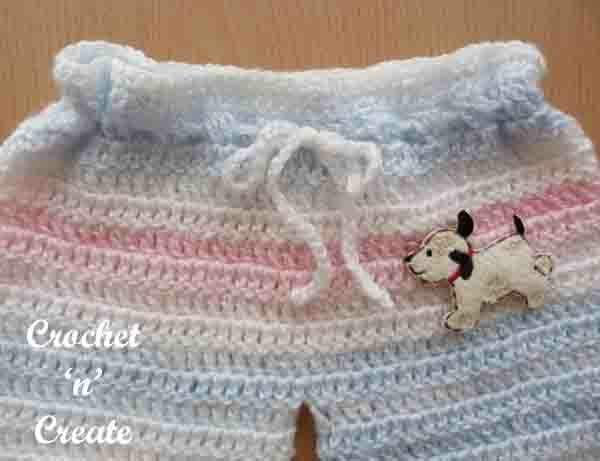 DO NOT share the written instructions for this easy peasy bonnet-pants uk free crochet pattern. 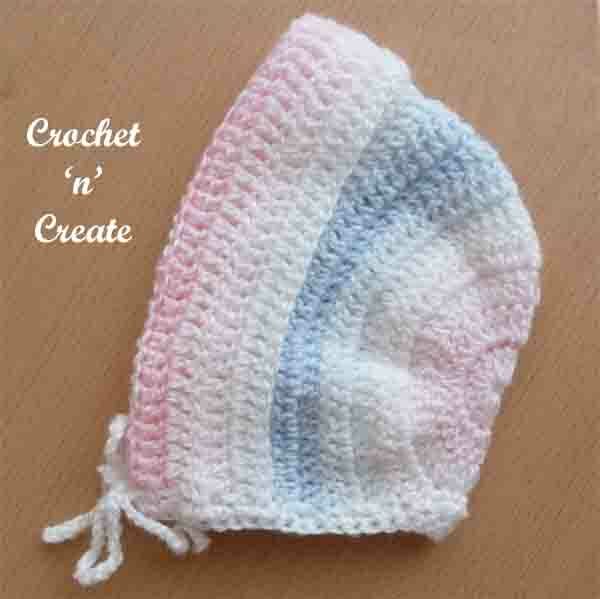 This entry was posted in Baby crochet pattern, crochet baby bonnet, crochet baby patterns, crochet wearables and tagged baby crochet patterns, crochet, crochet baby bonnet, crochet baby pants on 2nd February 2019 by crochetncreate.